If you found your way to this article, odds are- you are suffering from a skin condition that leaves itchy, red patches on your skin, otherwise known as eczema. This disorder is not easy to deal with and trying to relieve the inflammation with something other than medications is appealing- at least to those who prefer a more natural way of treating their skin. We gathered these topical recipes for eczema for you to review and are sure, somewhere in this list of 25 remedies, you’ll find a blend that appeals to you. 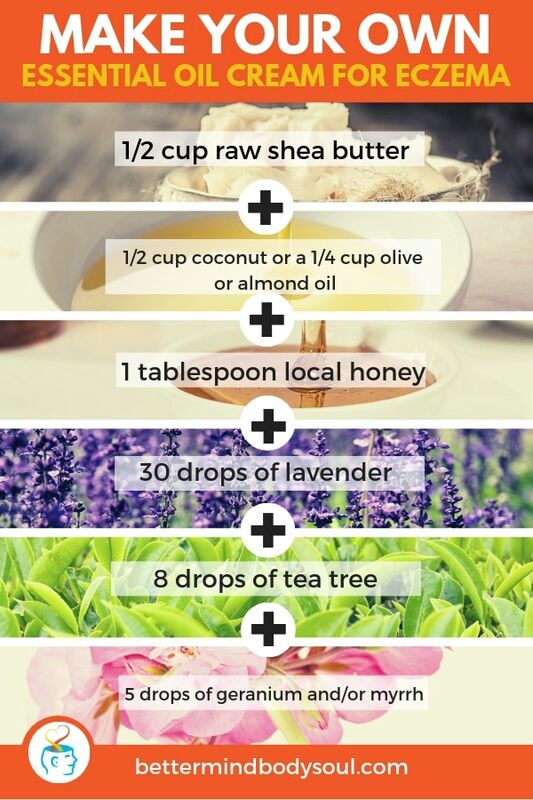 This recipe is a great place to start because the moisturizing power is off the charts. 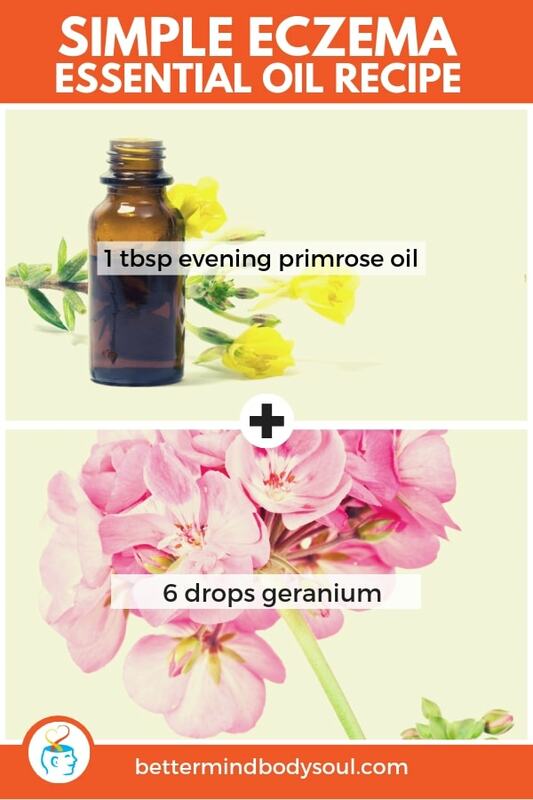 This disorder tends to dry out parts of the skin, and some oils in this recipe have the healing powers of moisture. In a dark glass bottle, combine all the ingredients, cap and shake well. It works best when applied to damp skin. This next recipe is simpler. 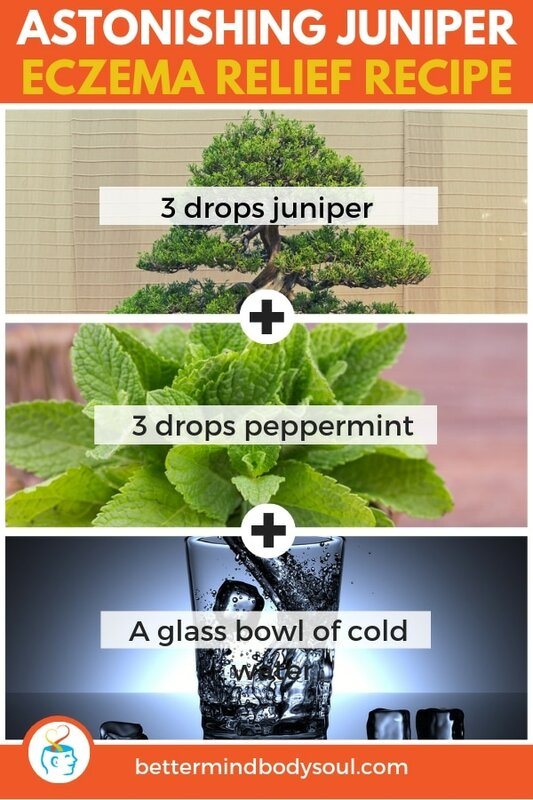 All you need for this mixture is a nice dark glass bottle and the following ingredients. Mix well before applying. Geranium is strong and has great effects on symptoms of eczema. Next, we have a recipe that is an extension of the last. Rosemary is strong so be sure to dilute well and do a spot check before doing a complete topical application. 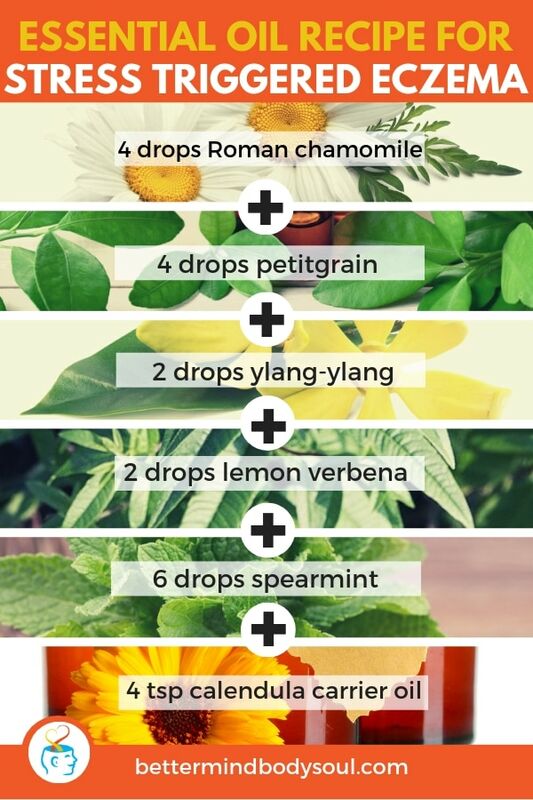 With the addition of chamomile, this blend will give a soothing effect as well. Robert Tisserand is a leading expert in aromatherapy. 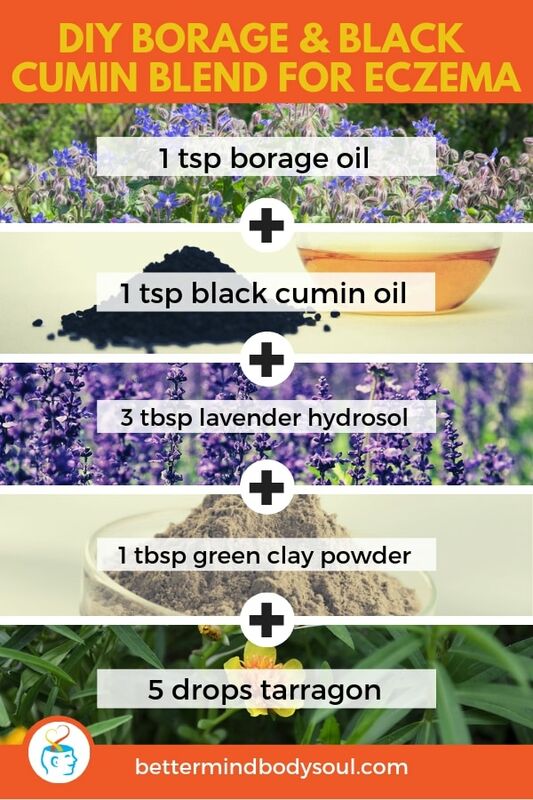 He created this blend specifically for Plant Therapy, or you can mix the following ingredients and make it yourself. 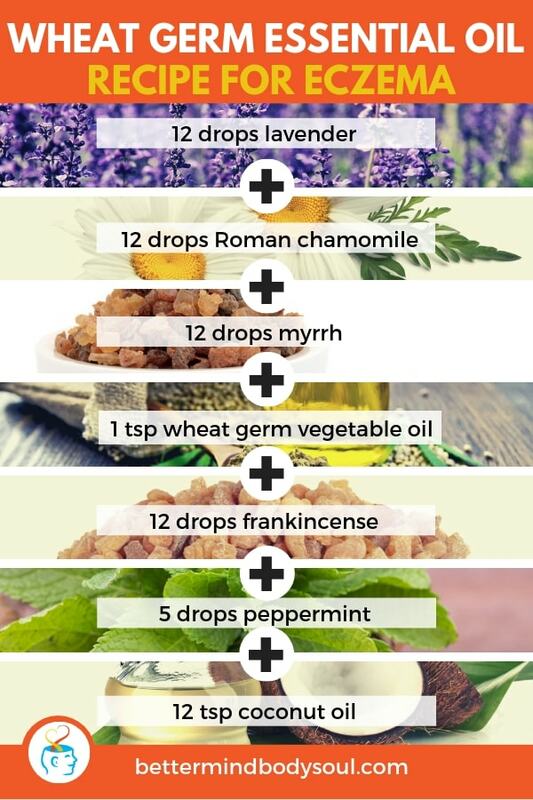 There are so many scents in this blend that it would be best to make what you need and keep for use. Don’t make too much. Store in a cool dry place. Here, something’s a bit different. The shea butter adds another level of moisturizing. 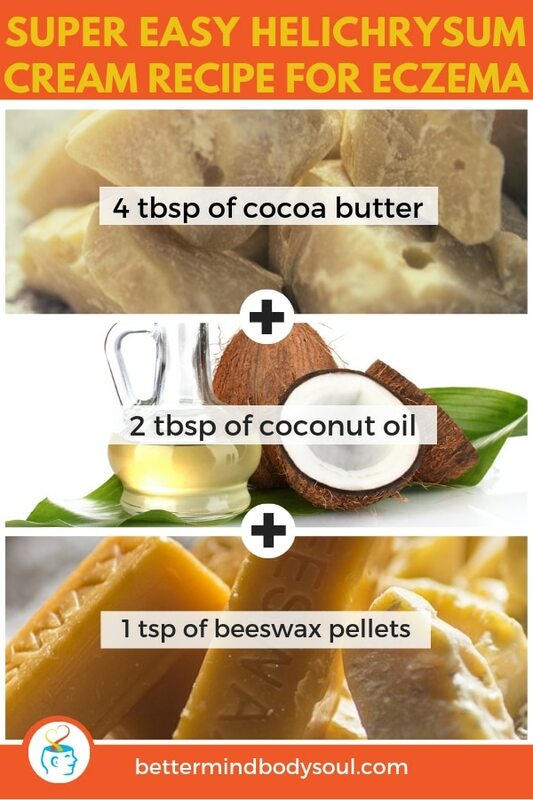 Melt shea butter and coconut oil in a double boiler or something like it. Let cool at room temperature or in the refrigerator. Beware of letting it cool too much and risking it to harden. Using a mixer, mix combination until it gets frothy and starts to resemble lotion. A good way to achieve lotion consistency is to mix every ten minutes. Compresses are another way to battle eczema. Try this recipe. Mix the ingredients together in a bowl that is non-reactive. Add cold water, soak a cloth in the mixture, and wring out. This is your compress. Here we have another recipe that involves a cream. You need the following. 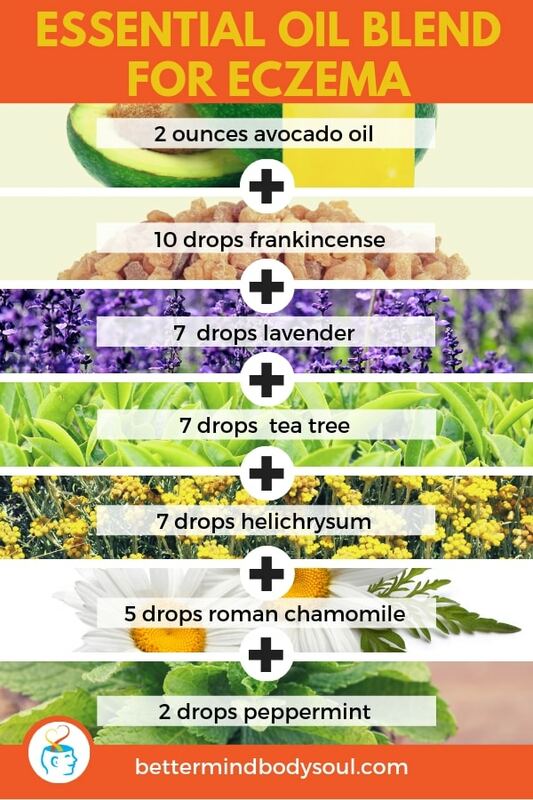 Mix well and apply daily. Vitamin E has been long known as an aid for skin issues. This recipe requires a 2-ounce amber glass bottle. 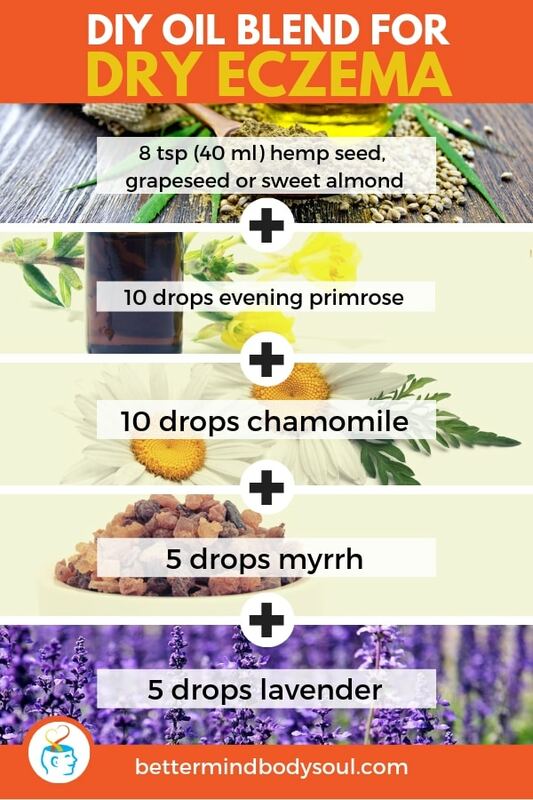 Mix the following ingredients. Mix and shake well. 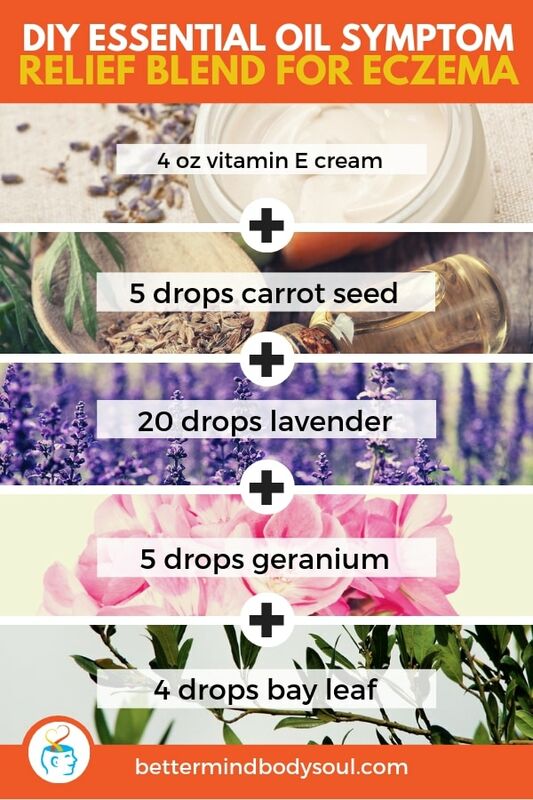 Lavender has special compounds that deal with eczema directly. Here we have another cream that works on patches of skin that seem to weep. 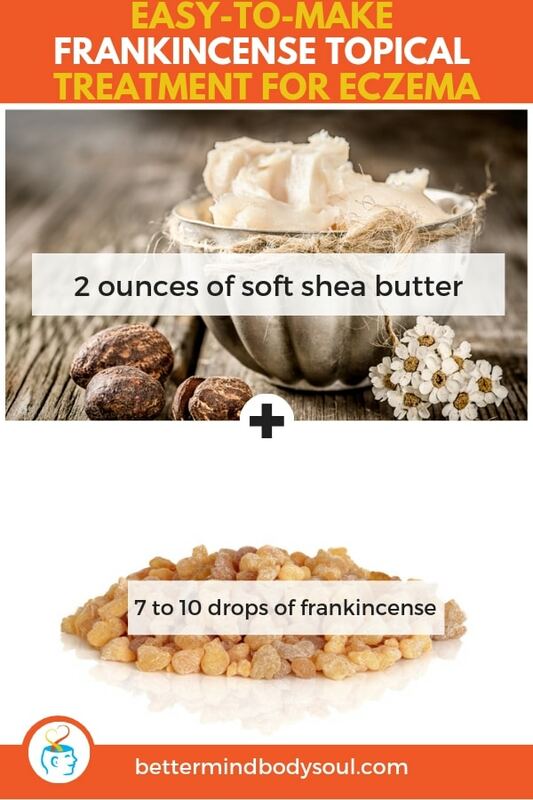 This is the first we see of frankincense, which is a powerful aid against skin issues. Melt the shea butter in a non-reactive bowl. The double boiling method works best. 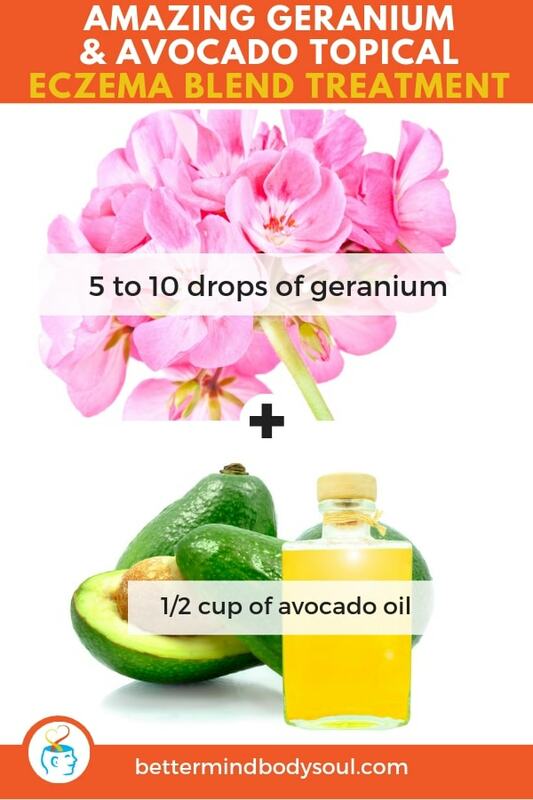 Once melted, add scents and vitamin E cream. Let it cool and transfer to a glass jar with lid. Seal tightly. When we’re stressed, our eczema can really act up. 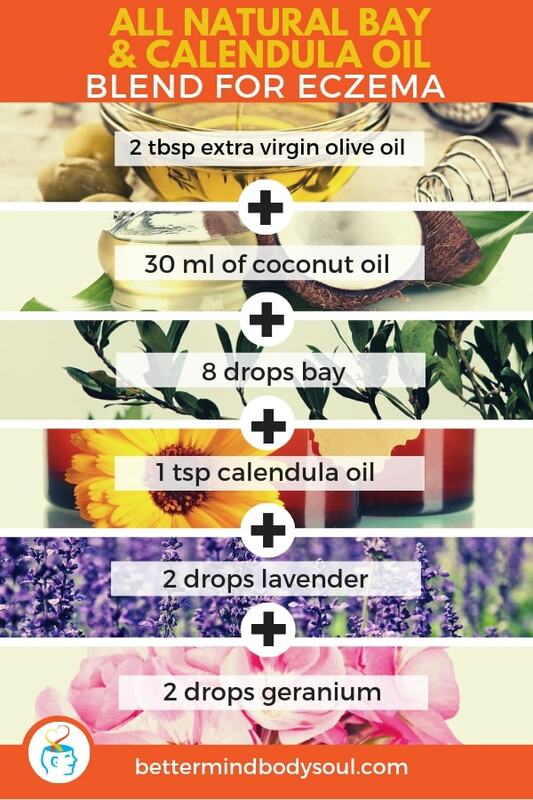 Try mixing these ingredients and apply gently to affected areas. 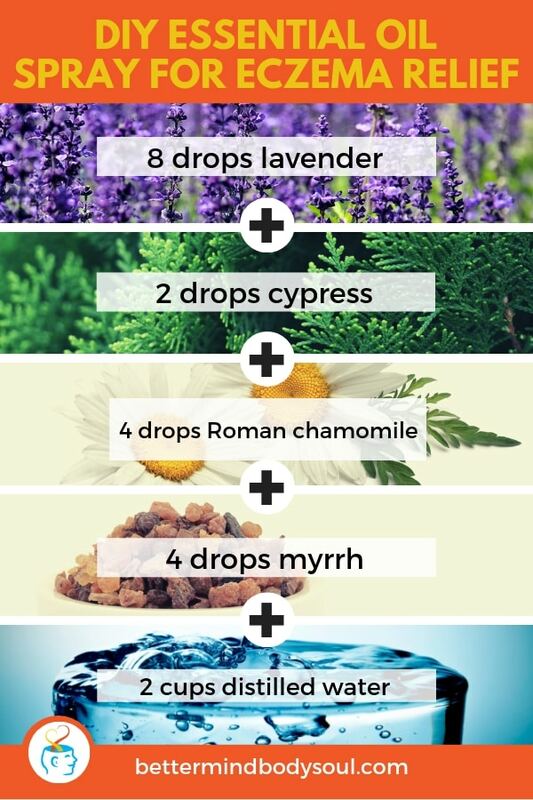 This blend works well as an overnight treatment, and with the scents that are added, stress should be relieved as well as the outbreak. This next recipe adds a few scents we haven’t seen on our list yet. Tarragon and tansy have not been mentioned yet but are no slouches when fighting eczema. Make sure to shake this blend before every application, which should be 3 times daily. And here we have another that uses an interesting carrier substance. Argan oil is considered a natural treatment for this skin disorder and tamanu oil has been used to treat it as well. Mix the following well. Apply to your eczema patches four times a day. Here we have the first spray blend on our list. This application style is great when you have to travel. It can be used anywhere at any time. Blend in a spray bottle, shake well, and spray. Keep in cool dark place for storage. If your disorder is so bad that you find you’ve developed blisters that ooze, this might be the best choice for you. Wheat germ oil has also been used to treat eczema. 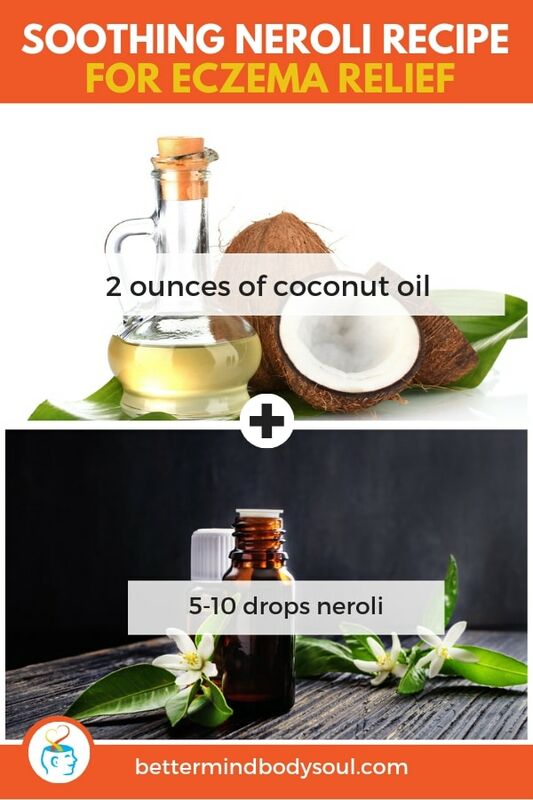 Melt the coconut, then mix in your scents. Let it cool and apply. 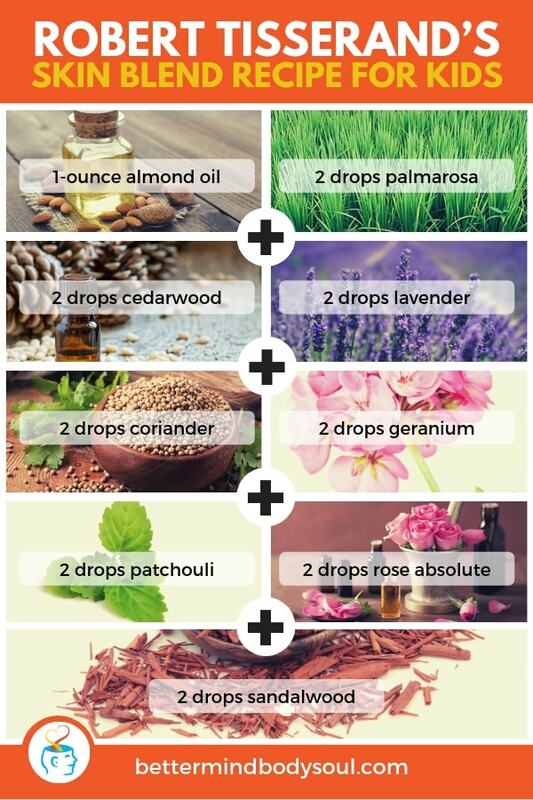 You can apply this mixture as many time throughout the day as you like. Borage is a seed oil and has long been used to treat different types of skin disorders including eczema. Mix in a ceramic bowl. Form into a thick paste. Apply and let sit for half an hour. This recipe has some interesting oil that we haven’t seen on our list as of yet. Calendula oil is used in professional eczema treatment creams. Melt the coconut oil and let cool for a bit. Mix in olive oil and the scents and let it cool completely before application. 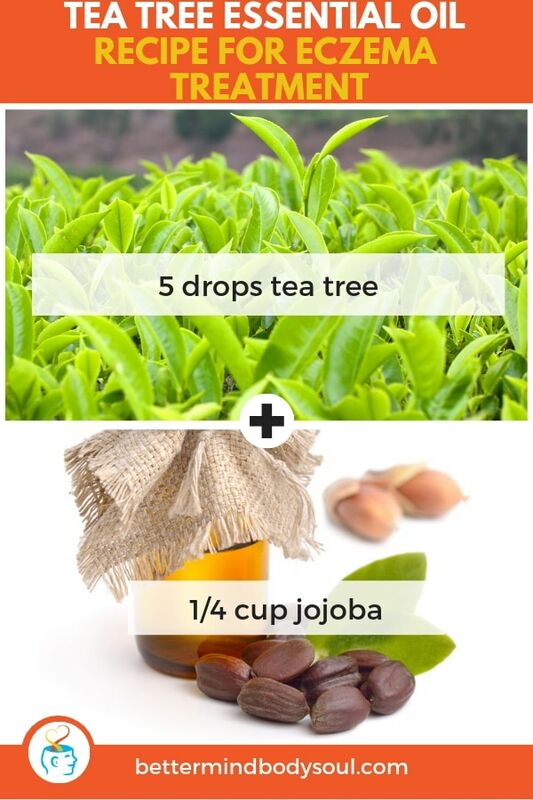 Tea tree is a powerful extract, which is why it has been added to this blend. 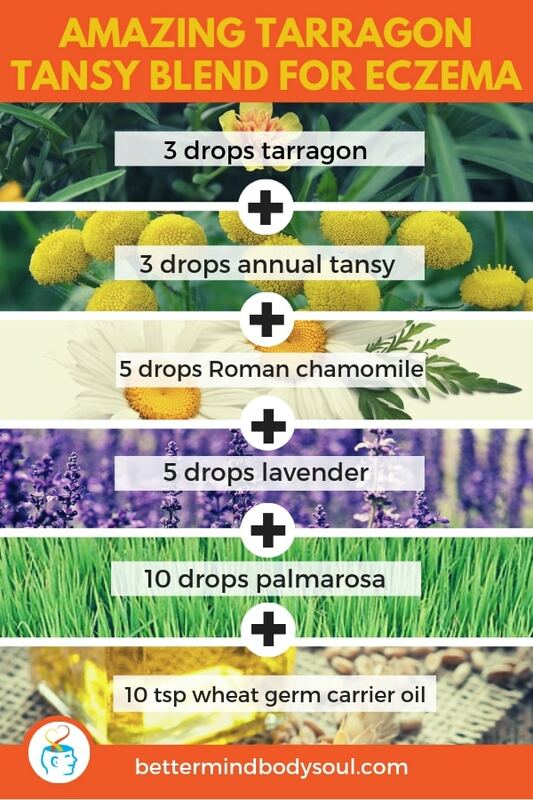 It has many properties that will help relieve your symptoms. 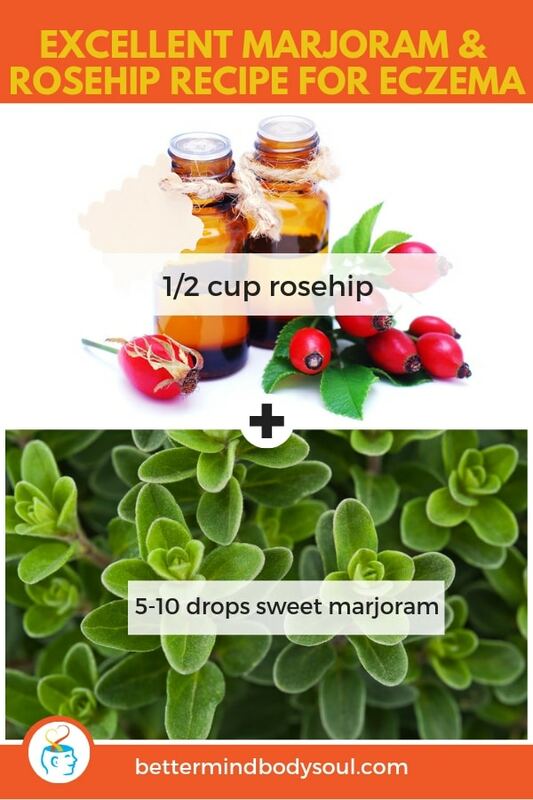 Mix these two ingredients thoroughly and apply generously to anywhere your eczema has flared up. 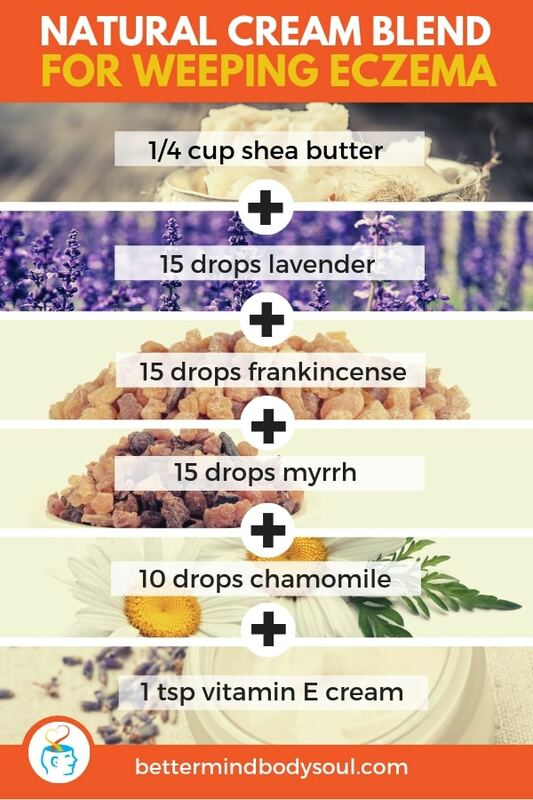 Frankincense is one of the scents I use daily. It has a musky smell that is uplifting, but it also has amazing qualities when it comes to eczema. Mix well and you have a powerful cream to fight that inflammation. 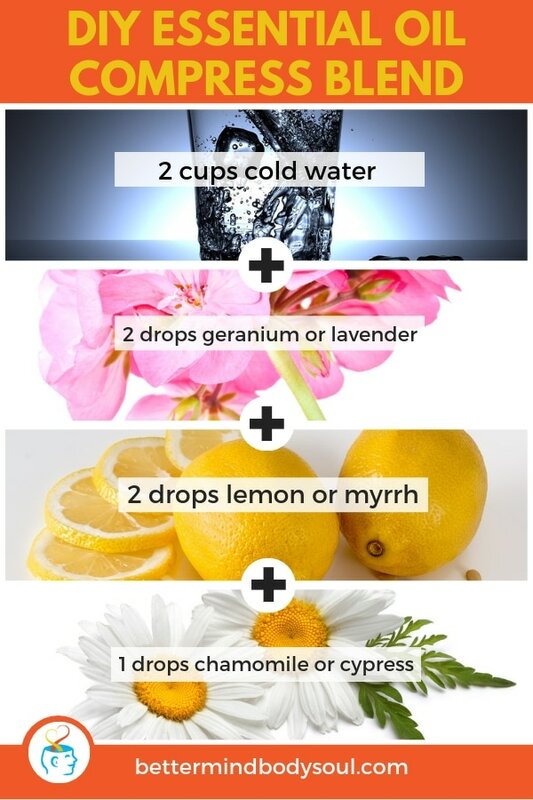 Here we have a recipe that works on all kinds of skin disorders including acne. It has anti-inflammatory properties, and it fights the itch of eczema. Put all the ingredients in a clean glass mason jar. Place it in a pan that has a few inches of water on the bottom. Submerge jar, and over a low flame, heat until all the ingredients become one. This is another recipe that calls for avocado oil, which is one of this writer’s favorite carriers. It’s used for moisturizing abilities. Mix in a dark glass bottle and store in cool dry place. I fell in love with this scent the first time I saw its name, which painted images of pharaohs and ancient Egypt. 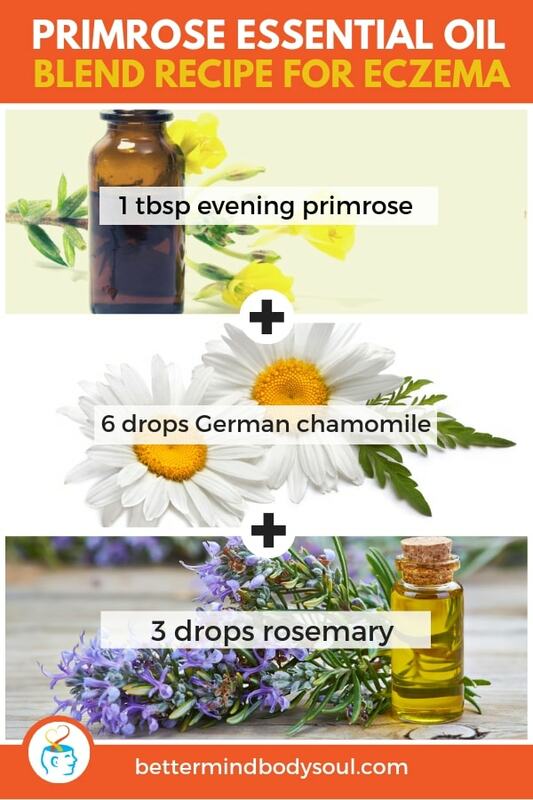 This exotic scent helps eczema when mixed with the following. Apply to affected area regularly. Extracted from berries by the same name, juniper berry oil is another soother of weeping eczema. With the coolness of the peppermint and warmth of the water, this compress should bring instant relief. Mix well. Dunk and wring the washcloth. Apply to affected areas. This scent is synonymous with the hippies of the 1960s who used the aroma to cover up the scent of cannabis. 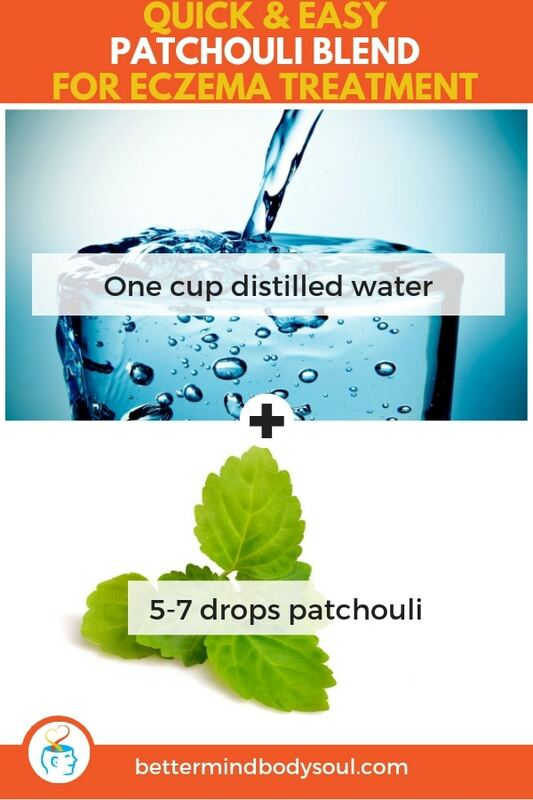 Yet, patchouli is great for so much more, one of them being a widely used treatment for eczema. 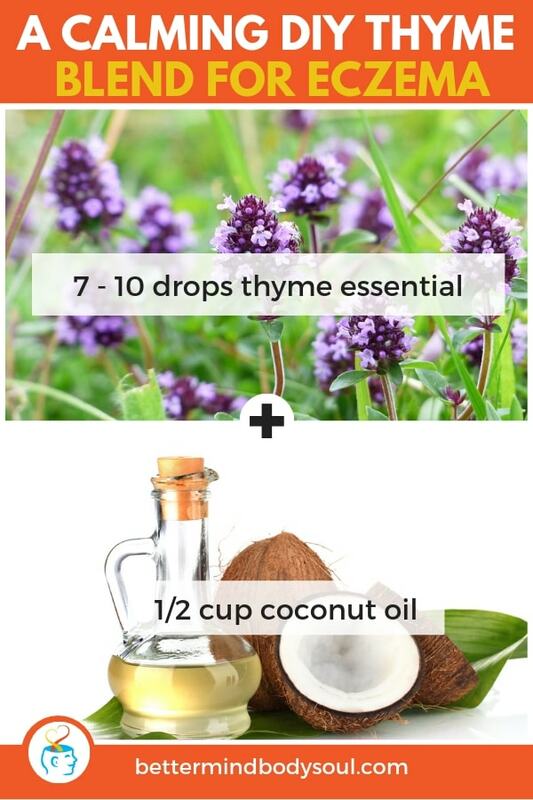 When it comes to eczema, this recipe works as a spray. Shake it well and apply when irritation is especially bad. When I think of thyme, I think of potatoes because the herb tastes particularly good with the root vegetable. Yet, the oils extracted from it are powerful against skin disorders. When mixed with the following, it creates a strong fighter of eczema. Blend and store in a clean container. Our last recipe also uses a powerful extract that fights inflammation. The redness is skin irritation and will be put at ease upon the application of this mixture. 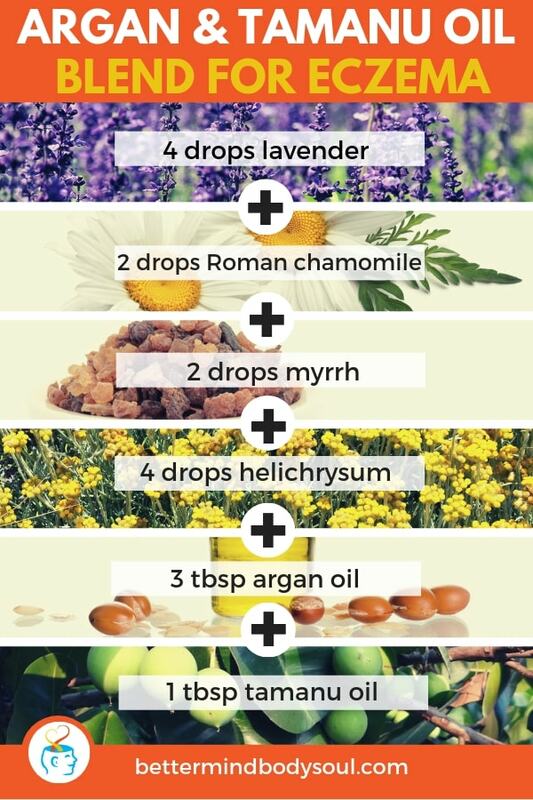 If you feel your skin getting irritated or itchy, apply liberally. Mix well in a dark glass bottle and store in a cool dark place. You can use a dropper to apply this to the affected areas. When we have an ailment, we want to believe that something out there is going to help us get through it. Eczema is no different and can be extremely difficult to deal with. If you deal with eczema, leave us a comment below. If you know someone dealing with eczema that might benefit from this piece, please share it with them.